This light and fluffy 5-minute Healthy Pumpkin Cheesecake Dip tastes just like pumpkin pie filling! Pair it with cookies, crackers, or apples for a fun party app or easy snack. I’m in a relationship with this dip. IT’S SO FLUFFYYYYYY. I mean, it’s major. And it takes like thirteen seconds to whip up!! It was love at first sight and even deeper love at first spoon. Imagine having the most luscious, fluffy, perfectly spiced pumpkin pie filling RIGHT at your fingertips! Can you even? No crust baking nonsense necessary (although I am quite partial to these Vegan Pumpkin Bars with Pecan Cookie Crust). This Healthy Pumpkin Cheesecake Dip is juuuuuust cheesecakey enough, complete with a wee bit of cream cheese for that fantabulous dash of tanginess we all know and love. I used regular full fat cream cheese for this recipe, but dairy-free cream cheese would work perfectly fine if you prefer it to be vegan. 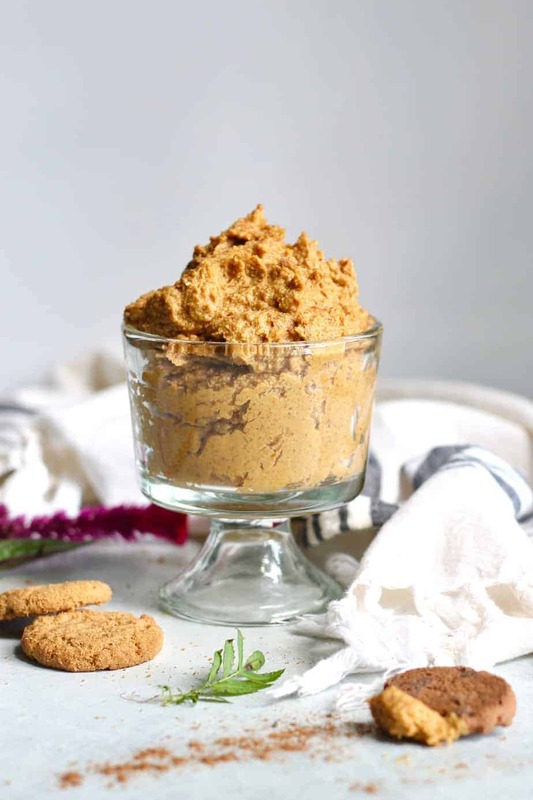 In addition to pumpkin puree and creamy almond butter, this dip sent from the fall gods is sweetened with pure maple syrup and gets doughy and thick and perfect thanks to the coconut flour. Lettuce not forget that this dip is good for you, too! Nice to meet you, vitamin A. Lucky for you, coconut flour is sold at pretty much every grocery store now for a totally affordable price so you should have no issue finding it. 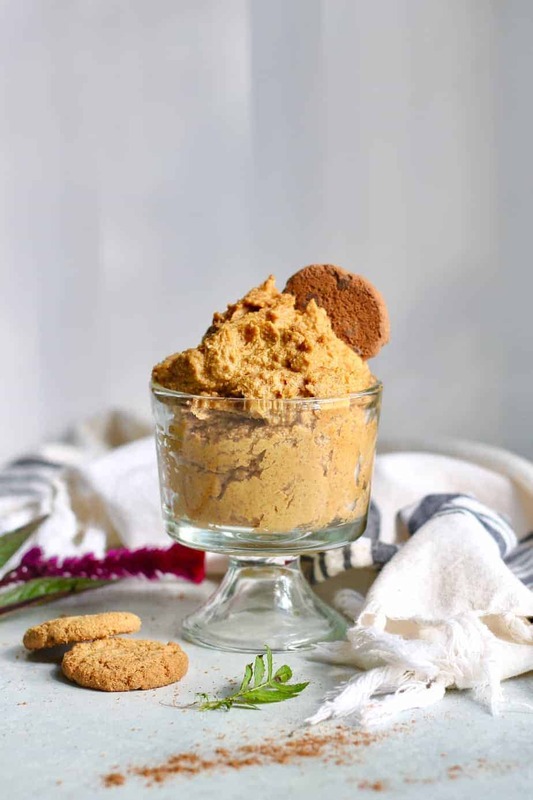 There’s no substitution for coconut flour in this Healthy Pumpkin Cheesecake Dip recipe so please don’t omit it! It’s a very unique flour thanks to its high absorption quality, meaning it soaks up whatever it comes in contact with like a sponge. It gives this dip that body and texture reminiscent of cookie dough, if you will. Bingo! The other key step for achieving the perfect texture here is mixing it this Healthy Pumpkin Cheesecake Dip with a hand mixer since the beaters help whip air into the dip. If you don’t have beaters or a stand mixer, a food processor would be your next best bet. Last but not least, this dip tastes WAY better after it’s chilled in the fridge. I swear it’s worth the wait! Now I don’t blame you at all if your vehicle of choice here is a spoon or better yet, a finger. (I had my hand at this dip with the juiciest honey crisp apple slices and let me tell you, it was quite the splendid snacking experience.) 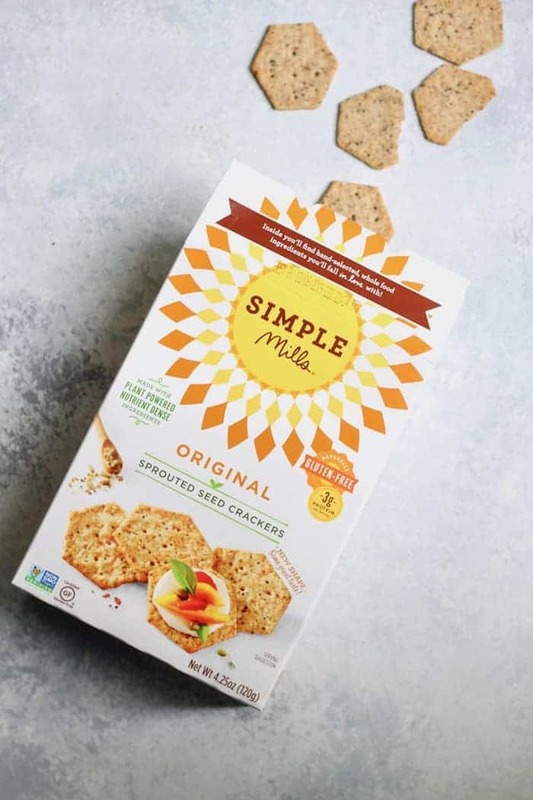 If you want to be more civilized, I highly recommend enjoying this treat with Simple Mills Crunchy Cinnamon Cookies or their NEW Sprouted Crackers rolling out at Whole Foods nationwide. I can’t even handle the crunch factor! If you’ve read the blog before, you already know how much I adore Simple Mills’ wholesome line of cookies, baking mixes, frosting, and crackers. Click here to find them at a store near you! The best news about this insanely easy and scrumptious pie-on-a-spoon recipe is that you can gobble it down WITH ME and my friends at Simple Mills next Sunday, October 21st at FNCE! Thats right, if you’re a dietitian or dietitian to-be attending the conference in DC, you don’t want to miss this super fun meet-and-eat-greet event. Click here to register. Spots are limited! I can’t wait to see you there! Place pumpkin, cream cheese, almond butter, maple syrup, vanilla, and pumpkin pie spice in a medium mixing bowl. Use electric beaters (or a mixer) to mix together until fluffy (you can also use a food processor, but beaters are best for fluffiness!). Add coconut flour and beat until mixed and dip has thickened slightly. Allow dip to chill in the refrigerator for at least an hour before serving. I liked it best the next day! Enjoy with crackers, cookies, apple slices, or by the spoon. *There is no substitute for coconut flour in this recipe as it provides a unique texture unlike other flours. See blog post for more information! This post is sponsored by Simple Mills. Thanks for supporting the brands that make Hummusapien possible! Looks great! What is coconut flour? Any substitutes? Nope, coconut flour is very unique for the texture so there’s no sub here! I linked to it in the post and explained all about it :) enjoy! Just your description alone has me drooling then the photos. Wow, each time you share a recipe, they just get better and better! You’re a kitchen wizard. I can’t wait to make this! I so wish I could have attended FNCE, but the last several years they’ve held it during our wedding anniversary, so no dice. Maybe next year! You’re so sweet, thank you Kori! Have an amazing weekend!! Thank you for sharing this post. I really like this post. For better health, this is very important. It is an email account which includes all the features you expect from a client bases emails services. Thanks for this quick recipe! I just bought the KitchenAid stand mixer last week and I was looking for a quick recipe to try things out. Think I’m going to make a small batch to try it out!